A Pakistani man suffocated his 16-year-old daughter in Islamabad because he suspected she was in a relationship with a boy in the neighbourhood. 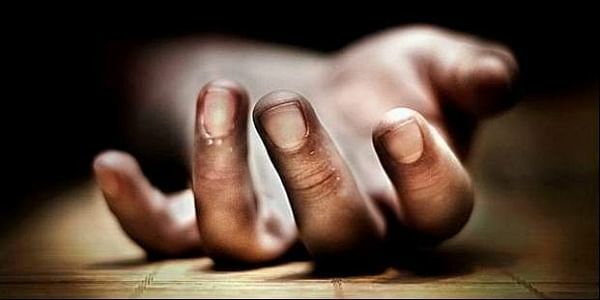 ISLAMABAD: A Pakistani man suffocated his 16-year-old daughter in Islamabad because he suspected she was in a relationship with a boy in the neighbourhood. "The man, a father of six, killed his daughter by choking her and then called 15 to inform the police of his crime," the Express Tribune quoted a homicide investigator as saying. He was arrested soon afterwards. The officer said that trouble had been brewing in the family for the last two to three days over the issue. The body was shifted to Pakistan Institute of Medical Sciences where the doctors confirmed that the girl was suffocated to death. "There was bruising on her neck and signs of light bleeding from her lips. It seems the girl's throat and mouth were squeezed, which led to her death," a doctor said. Doctors also collected samples from the girl's stomach, liver and spleen and sent them for a chemical examination to determine the cause of death. On Monday, a beauty salon owner was stabbed to death in Lahore, allegedly by her in-laws, who doubted her character. Hundreds of women are killed every year in Pakistan often by their family members on the pretext of defending what is seen as family honour. Pakistan's National Assembly in October last year passed a much-anticipated new law that mandates a minimum 25-year prison sentence for anyone convicted of carrying out an honour killing, and prohibits families of victims from forgiving the killer, a common occurrence in these tragic crimes. At least 40 clerics of the Barelvi school of thought in Pakistan on June 12 last year issued a fatwa against honour killing, declaring it 'un-Islamic and unpardonable sin'. The clerics under the banner of Sunni Itehad Council said that honour killing is kufr (infidelity). The Conservative Council of Islamic Ideology - an Islamic body that enjoys constitutional status and gives non-binding proposals to Parliament to make laws according to Islam - last year declared killing of women in the name of "honour" as un-Islamic.